The 4th Edition of the Batticaloa International Trade Exhibition 2018 (BITE 2018) is scheduled for October 5 to 7 at the Shivananda Vidyalaya Grounds in Batticaloa. BITE 2018 is organized by Lanka Exhibition & Conference Services (Pvt) Ltd (LECS) in association with the Batticaloa District Farmers Association and Batticaloa District Chamber of Commerce and Industry. This is the only event organized by a professional company such as LECS to take place in the East. Lanka Exhibition is an experienced team of professionals who count more than 20 years in professional exhibition and conference management. They organize more than 15 exhibitions in an around Sri Lanka. The popular ones being Pro Food / Pro Pack, Agbiz Expo, Construction Expo and Jaffna International Trade Fair to name a few. Most of these events have been running for more than 10 years. As the only exhibition, fun fair and trade show to take place in Batticaloa, the event will feature stalls from the Construction Industry, Hospitality Industry, Food, Beverage and Packaging Industry, Automobile Industry, ICT Industry, Travel and Tourism, Financial Services, Apparel & Textile, Agricultural, Fisheries, Livestock, Consumer Goods and many others. The varieties in industries that participate open up business and lifestyle opportunities for the citizens of the east coast and suburbs. The Exhibitions’ central location in the Eastern Province ensures the show will attract over 60,000 visitors over the three days. Visitors can source new products and consumer favorites at discounted prices under one roof. 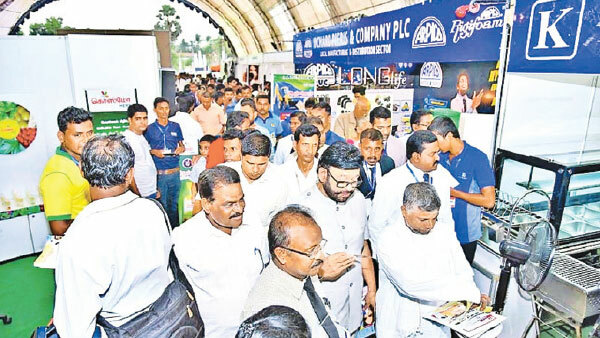 Business delegations from communities in Batticaloa, Trincomalee and Ampara Districts will have easy access and ample opportunity to setup joint ventures and partnerships with Exhibitors. Students and young adults from the Eastern Province will have the opportunity to visit the special education pavilion at the Exhibition. The pavilion will feature leading higher education providers. The organizers have planned many concurrent events during the 2018 edition. Gold sponsor for the event isWijaya Products (Pvt) Ltd, McShaw Automotive Ltd.